The exclusive Czech two-holed Superduo seed beads. Superduo offers much more creativity and possibilities. 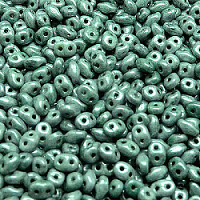 The oval shape of the new two-holed seed bead has dimensions of 2.5 x 5mm.